This one room needs to set you up for your day, it needs to inspire, rejuvenate, as well as excite you. That’s a lot to ask in a space that is often neglected in terms of decorating. Think about it; not many people get to see this room, but as its where you both start and finish your day it’s probably the most important to your well-being. Invest in a good quality bed and bedding. 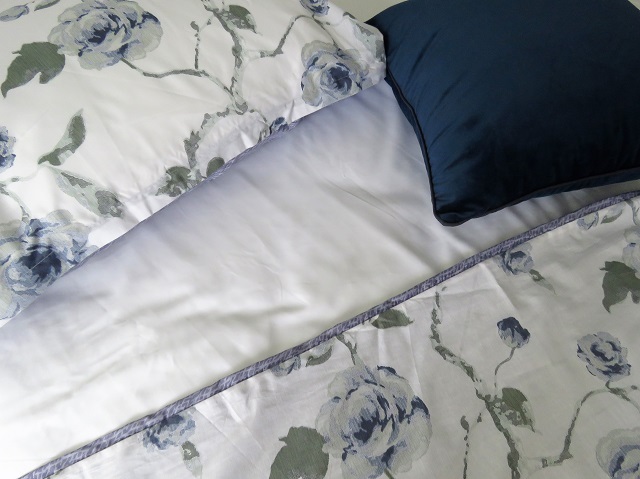 Your sheets should be of the highest thread-count and your duvet cover or quilt should reflect you. If you enjoy freshly ironed sheets save yourself time and frustration and do so while they are on the bed. 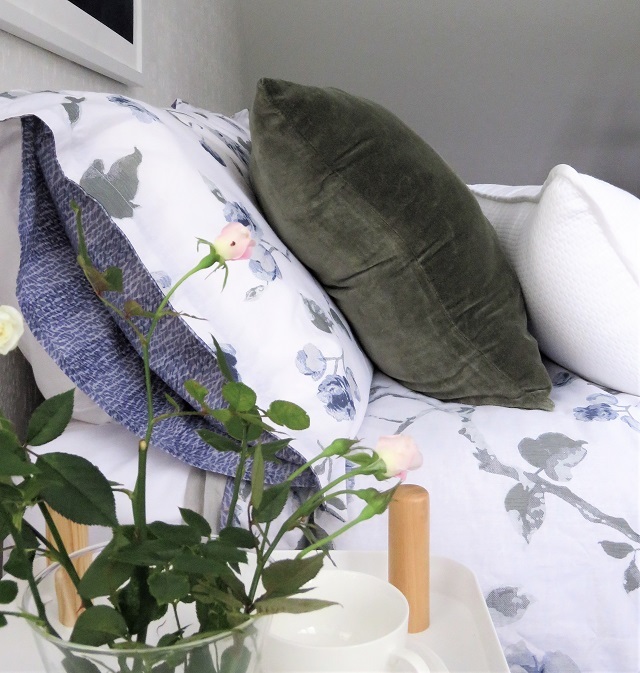 Pillows and cushions allow you to change your bedroom simply, remember though that too many cushions can create havoc when its bedtime! If you love colour and pattern use it, but remember you want to create a sense of calm so keep it muted. Keep furniture to a minimum and build in a dressing area if you can. Allow yourself the space to get dressed and ready for the day. 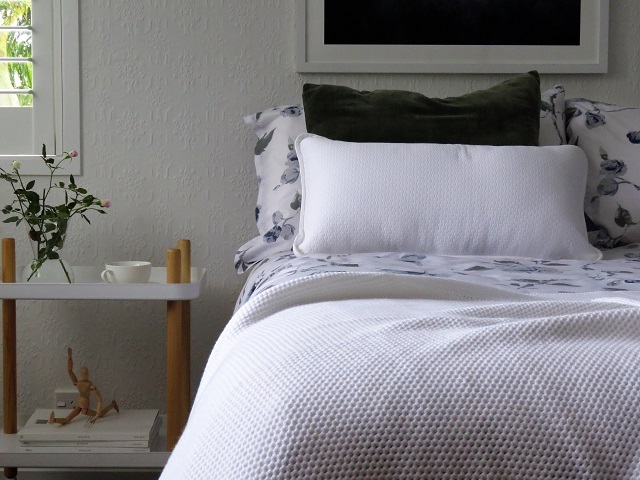 Make sure bedsides are beautiful and practical. If you don’t have drawers you can hide the clutter in a basket. A chair gives you a sense of relaxation and creates a space that says, no we are not sleeping now but lets just relax. Ensure light sources provide for all moods. Burn essential oils for the mood you want to create. Rose and Lavender for hormone balancing and restful sleep, Ylang Ylang and Jasmine to boost sexual desire and energy and Frankincense to calm your mind and balance your emotions. 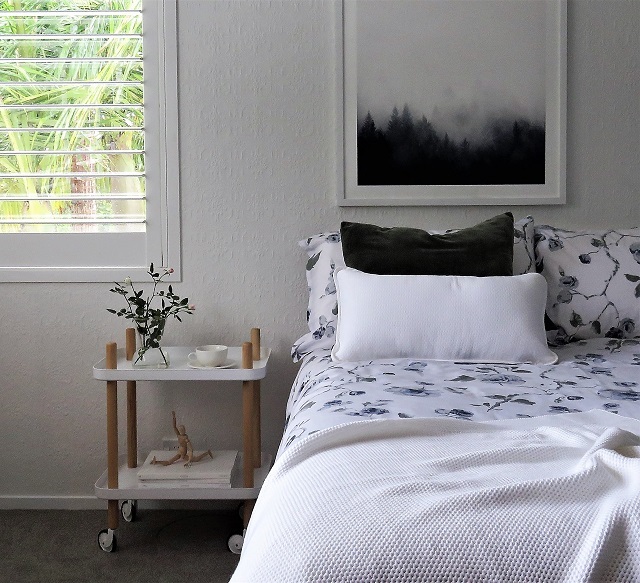 Just a few changes will create a bedroom where dreams are made and love is passionate so each day can begin with a more beautiful, inspired, calm and kind you. This is a sponsored post for Logan & Mason.